Locations: Online then either Scottsdale, AZ, Vancouver, B.C., or Minnesota. Esthetic Advisor Laser Academy (EALA) is excited to offer non-Arizona students the 88 Hour Comprehensive Laser Course as a revolutionary hybrid course providing all your classroom instruction through video learning. Unlike a voice behind a boring Powerpoint presentation, all of our video courses are professionally recorded and provide engaging, educational, and often entertaining training as if you were sitting in front of a live instructor. Taking the didactic portion of the course online cuts a student’s time away from home dramatically while providing the same quality instruction at the convenience of learning at home. Attendees of this comprehensive hybrid course receive their hands on clinical instruction at our Scottsdale location or at our affiliate school locations in Minnesota or Vancouver B.C. This 88 hour hybrid course combines the 40 Hour Online Basic Laser Didactic Course together with the live 48 Hour Clinical Laser Course to provide start to finish comprehensive laser training in less than two weeks. Attendees will also become certified as a Laser Safety Officer (attendees must provide a current CPR card for LSO certification), which may afford the ability to function in that capacity for an organization. 2. Once completed, students contact EALA to enroll in the 48 Hour Clinical Laser Operator Course. Please email estheticadvisor@gmail.com or call (480) 656-4481 9-5pm PST to enroll or for any questions. 3. 88 Hour Hybrid Comprehensive Laser Operator students will attend a live half-day didactic review session which is included in this version of the 48 Hour Clinical Laser Operator Course. At the end of the session, students will be required to take a 50 question test and pass with an 80% or better score to assess knowledge of the online didactic material. Those who have successfully passed the assessment will be awarded a certificate of completion for the didactic course and will be prepared to successfully complete the 48 Hour Clinical Laser Operator hands-on course component. 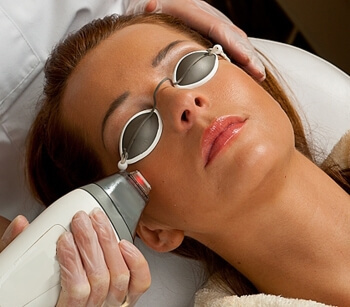 The 48 Hour Clinical Laser Operator Course utilizes the latest light based technologies to allow students to complete a minimum of 24 hours/10 treatments for hair reduction and 24 hours and a minimum of 10 treatments for certification in other cosmetic lasers procedures including photofacials, fractional non-ablative skin rejuvenation and non-ablative tattoo removal. Once the 48 hour hands-on component is completed, students will receive a certificate of completion for the 88 Hour Hybrid Comprehensive Laser Operator Course. AZ practitioners, Click HERE to view the ARRA approved version of this course.